Is the autogroup app going to work still? My information is No, the old app will not be further updated. Load times are slow due to the number of ads it has to load every time a thread is opened. The old app didn't show any ads at all, why does the new one have to? Even shows them when logged in, the web app doesn't even do that. The app might be useful once the ads go away. My apologies for the ads. They were left in test mode and have been removed now. A new update was released this week with improvements. More to come in the next month. Man, I was excited about this for about thirty seconds. Once I pulled up the reviews page all I saw were complaints about how many ads there are. Pass. the app shows no post content for me on iphone 6s plus & ios 10. even PMs... show the username & will let me reply, but doesn't show what they wrote. it is literally 99% useless. the only useful thing it has done is give me a notification when someone PM's me. 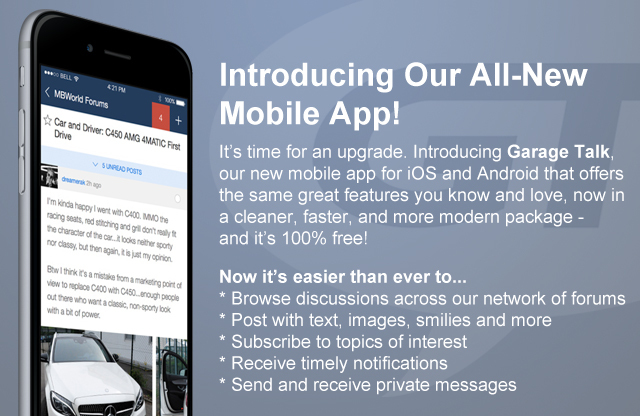 "The new updated mobile application is here!" New is not 2 year old ad infested bloatware! Why do I need that if I already have Tapatalk? Last edited by Stapleleg2; 10-04-2017 at 08:09 PM. Anyone out in the Bay Area that can flash my pcm with 4l80e parameters? Keep getting forwarded to spam/ad sites?